The main culprit? Their legacy server/SAN-based infrastructure. 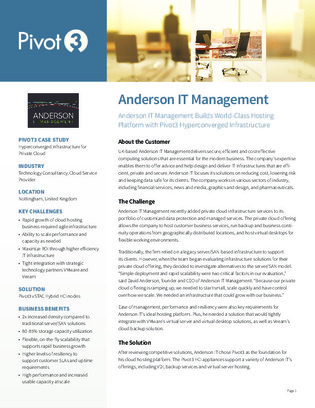 Read this study to learn why, after thorough evaluation, Anderson IT chose a hyper-converged system as the foundation for their cloud hosting platform, including the specific benefits HCI brings to private cloud.